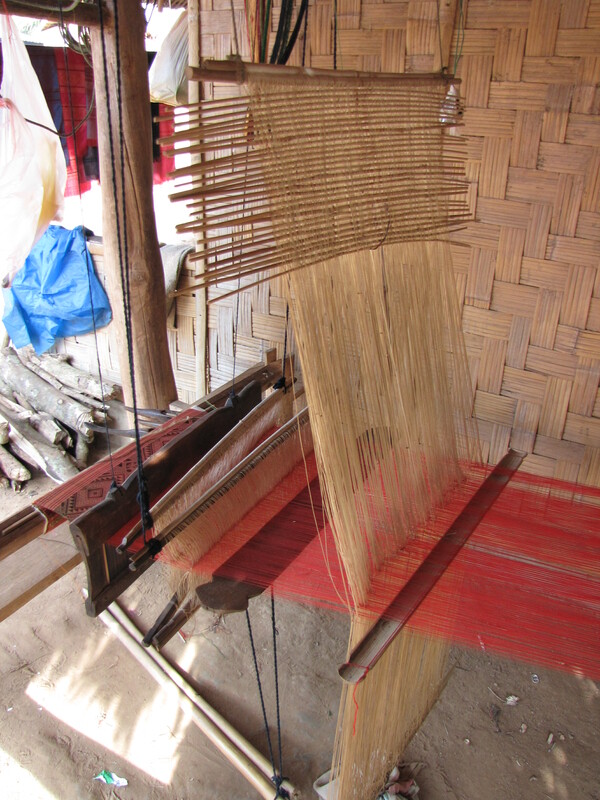 About an hour upsteam from Muang Noi Neua is a village specialising in weaving. I had visited a year before and so was taking the boat ride for the beautiful scenery. 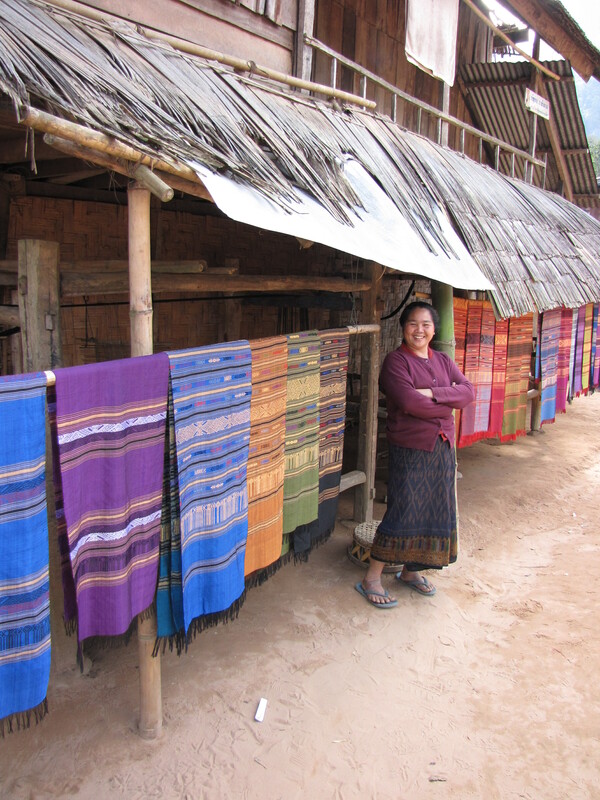 I was only going to buy one small scarf, but on arrival I found their wares irresistable. 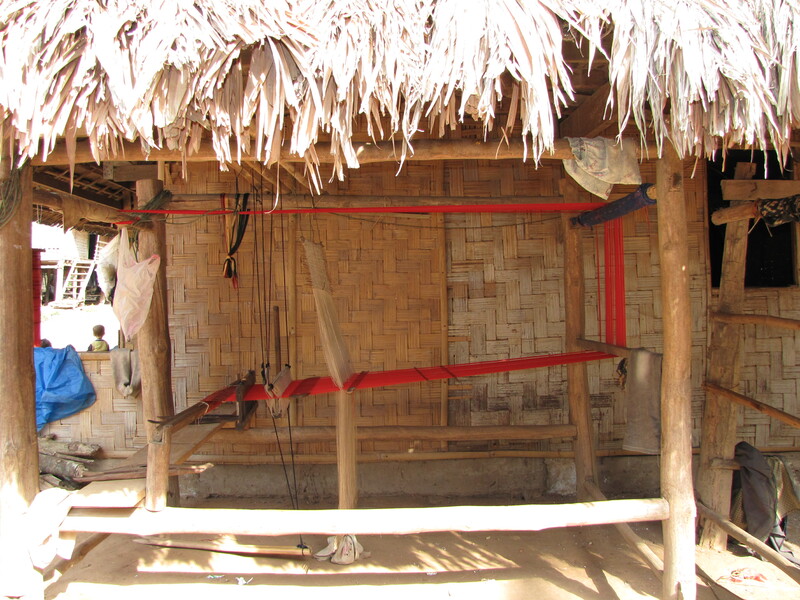 All the villagers were just as gentle and smiling in their invitations to buy, but the display of weaving for sale seemed to stretch even further along the central path of the village that last year. 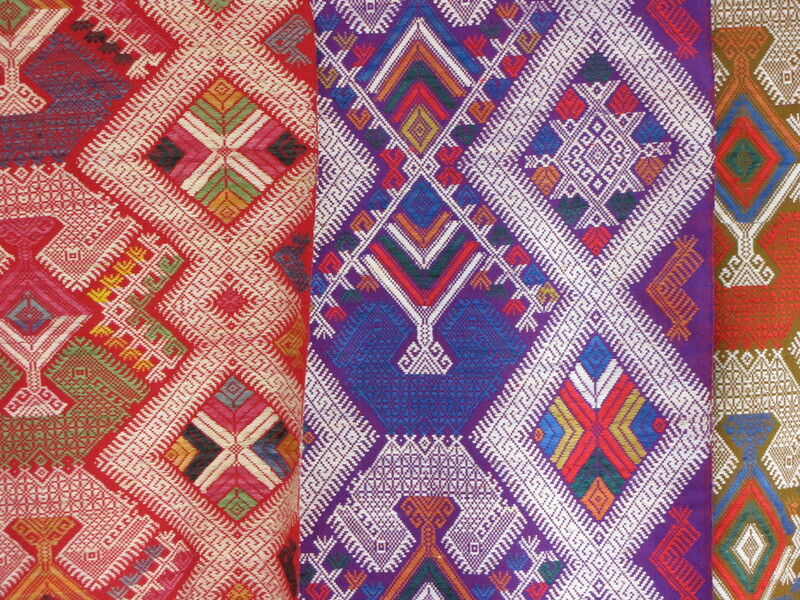 Choosing was overwhelmingly difficult, and I will include the pieces I purchased on a Collection page when I return to Australia. 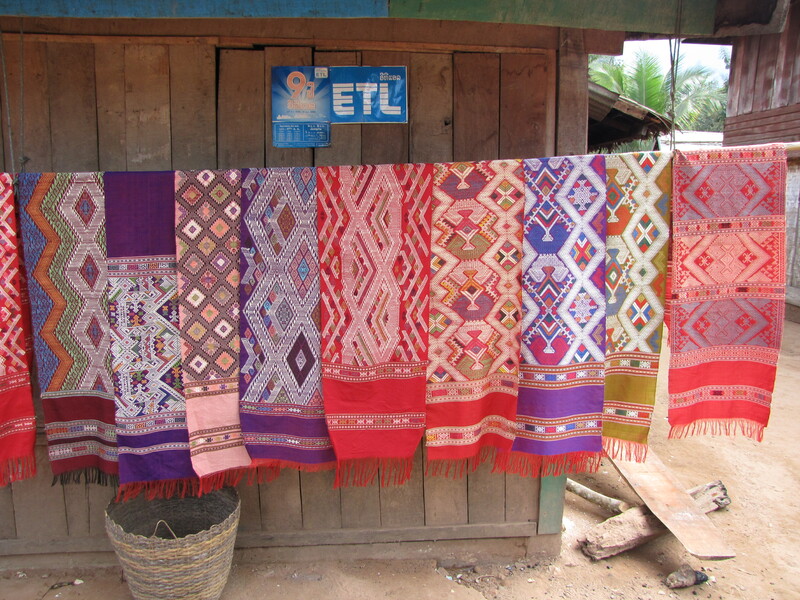 This entry was posted in Laos and tagged Asia, Laos, loom, Muang Noi Neuea, Textile, weaving by Wendy Garrity. Bookmark the permalink.